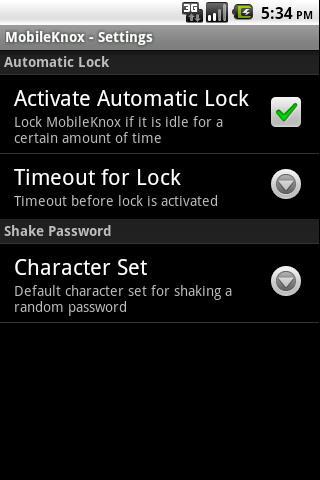 I am happy to announce that we will issue MobileKnox for Android within the next couple of hours. MobileKnox for Android offers an easy-to-use and simple password management tool that helps organizing passwords, PINs, bank accounts, creditcards, and other sensitive information. 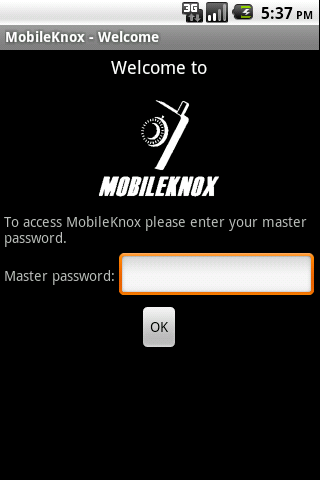 MobileKnox for Android will continue the success we had with MobileKnox for J2ME-enabled devices. So far, MobileKnox for J2ME is installed on mobile devices more than 100.000 times. Based on the tremendous proliferation of devices that run Android, we want to bring MobileKnox to these devices as well. This will allow our customers to secure their sensitive information using Android devices. MobileKnox for Android will come in two version: A free but feature limited version and a premium version with all features enabled. The free version will show advertisements and will not provide synchronization. With more features to come to MobileKnox for Android additional premium features will not be part of the free version of MobileKnox. The premium version of MobileKnox for Android will contain all features you already know from MobileKnox for J2ME. Additional features are already planned and will be available soon. To give you an appetizer on how we are going to use the rich possibilities Android provides we integrated a secure random password generator: Long click on the content field in the “Add entry” screen and press the “Shake Password” menu entry in MobileKnox. After that just shake the phone to generate random characters that are combined to a random password. More features of this nature will come soon. The price tag for the premium version of MobileKnox for Android (search for MobileKnox Premium Key in the Android Market) will be €2.99. As already mentioned above, MobileKnox for Android will be capable of synchronizing with DesktopKnox. For this, DesktopKnox version 3.0 is required. DesktopKnox 3.0 will be released together with MobileKnox for Android. 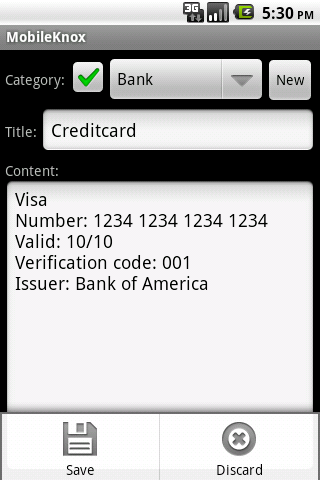 In the following you will find four screenshots of MobileKnox for Android version 0.9.0 beta. Enjoy viewing the screenhots. In the next following days we are squashing out bugs and as soon as we perceive MobileKnox ready for the masses we will upload it to the Google Android Market. 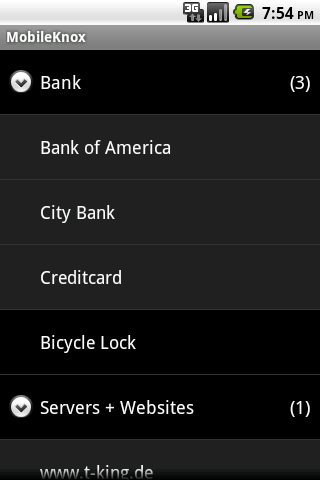 MobileKnox for Android will come in two flavours: Firstly, a feature-complete and fully-polished paid version. Secondly, a feature-limited trial version that displays advertisements. As promised here the link to version 0.9.0 Beta of MobileKnox for Android: MobileKnox (Please note that you have to enable your phone to accept applications from this website by clicking Settings->Applications->Unknown sources. Android 2.1+ is required to run MobileKnox for Android). Please do not hesitate to contact me if you have any bug reports, questions or comments about MobileKnox or DesktopKnox. Have fun using MobileKnox and DesktopKnox!